I recently read a couple of blog posts that inspired this one. One was written by my friend Josh Mosey chronicling our writer’s group formation, the other was a post about a 25 year journey in the writing life by Roger Colby. Every writer has those moments in life. Moments that define us, motivate us, or destroy us as artists. Here are some of mine. I am sure it started before this memory, but one of the moments I come back to again and again for encouragement is a conversation I had with an English professor named Dr. Fabisch. Many of you reading this might have attended Cornerstone University and had a class or two of hers. The reason I remember this conversation is because I had no interest in writing at this point. The conversation happened in her office, and it went something like this. “Mr Evenhouse,” she began peering down her nose and through her glasses in a half-smirk half-scowl, “I wanted to tell you that I think you could write for a living. You write wonderfully,” I stood there, not really knowing what to say, I thought writing was a joke. “Uh, okay, thank-you” I replied. That was when her tone changed. I don’t remember the details of our conversation after that. These comments stuck with me, not because it was the words I needed to hear as a budding novelist, but because it was such a foreign idea at the time, almost laughable. Looking back I see I always the idea of writing in the back of my head. This conversation merely opened Pandora’s Box, if you will. I loved reading as a child. I remember pouring through book after book, then I guess I got bored, or distracted by my other boyhood love, hockey. I didn’t come back to reading until the summer before my freshman year at college, I discovered Lowry’s books in town. 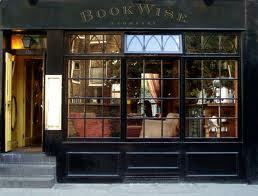 As I walked through its doors and my lungs were filled with that beautiful ‘old book’ smell, I was enraptured by it. I bought many copies of second hand classics: The Tales of Land and Sea by Joseph Conrad, Tom Sawyer, Ivanhoe, and others. I carried them with me to college just so that I could have them on the shelf of my desk. I liked the look and smell of them more than anything. They were like a perfectly aged red wine. Fast forward to the end of that year in college when I watched The Fellowship of the Ring. It may shock you that I had never heard of Tolkien before this. I know! Through high school and one year of college, I did not once hear of him. After the movie however, I immediately went out and purchased the full set and dove in. A few years after reading them, I married my beautiful wife Cindy. 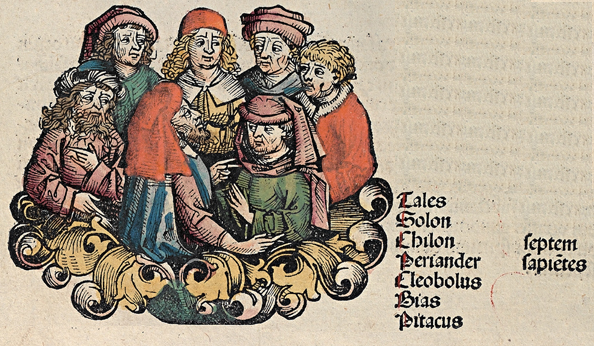 About six months into our marriage I got an idea for my first novel while poking around interconnected subjects about an idea of the Seven Sages of Greece that were hailed for their wisdom. From here I went from writing alone to joining a writer’s group as Josh has written in the link at the beginning of this post. It is always great looking back. Looking back for direction or encouragement. Looking back to see where this all began. Where did your journey begin? What inspired you to write? When I first began blogging I wrote as often as I could and published about six blogs in just over two weeks. I thought my blog was going well. However, I was just a beginner and soon I started to sputter (and my wife and I welcomed my second daughter into our family) and I focused my writing on my novel. I have since had a new start and have seen great results with blog traffic. I wanted to share with you what I did differently than when I began. Hopefully you can avoid the mistakes I made at the beginning. Blog Regularly – This seems obvious, but if you blog one day, then in three days, then in two weeks, you will lose your audience very quickly. Since I started blogging every day a few weeks ago, I have easily had my best month traffic-wise. You don’t have to blog everyday, it could be every other day, or maybe once every two weeks. Just find a groove and make it consistent. Keep To One Topic Or Theme – No one wants to see a post of the new Avengers movie here, however cool or dull that might seem to you (okay it’s cool, see below). This blog is about writing novels, writing with a busy schedule, writing while working full time. It is not about My Little Ponies or jelly beans. You can build an audience and followers this way. People will know your blog for ___ . Sync To Facebook, LinkedIn, Twitter, Or Other Social Media Sites – Depending on the platform you use, wordpress, blogger, etc., this is a great way to tell your family and friends without having to text or call them all, and a great way to generate traffic. Follow, Like, And Comment On Other Blogs – Make some cyber-friends. If you are a writer like me, follow other writers. If you like photography, comment on a picture you like on a photo blog. Have A Contest – Have a question, photo or writing contest. Give away a book you like or an iPad. Whatever. Blog With A Friend – Though my writing group the Weaklings (after the Inklings of Oxford – see Josh’s post here) is scattered, we are now all blogging. Click on their names for their blogs: Josh, Andrew, Matthew. My parting comments will sound familiar to those who read my blog. Its the same advice I’ve given over and over again. You learn by doing. You learn to write by writing. You learn to blog by blogging. More and more authors are expected to do more for their books. Promote themselves, creating networks and audiences before they publish, and of course, do some significant editing. Editing, more commonly know as revising, is my arch nemesis. 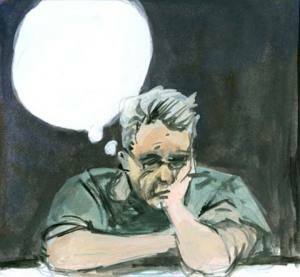 It’s the nasty reality of writing, the rude awakening that says, “you know how you slaved over your novel for the last few years to produce this draft? Yeah, you aren’t even close to being done”. Then it howls in laughter. Okay, maybe it’s not that dramatic, but you get the idea. You finish your novel thinking you’ve done your best to have commas in the right place, eliminate the passive voice, and destroy the repetitive use of words. But, as you open the word document and begin reading you will probably do what I did when I started to read my finished draft. Groan. Sigh. Then let you head slowly fall until its rested on the desk in the realization that more work is ahead. Now maybe you thought of it, but I didn’t. Revising, I believe, is the hardest work, work that causes you to dig even deeper into your self than a novel does. Since I know only bits about the editing process, I do know it can be more of a refining period and much more than simply tweaking grammar. Therefore I wanted to pass on this video about refining your work and tips from a very good blog WritingIsHardWork. I am NOT a runner. However, after much contemplation I signed up to run a 5K race here in Grand Rapids called the Fifth Third River Bank Run. I did so because I have not done any strenuous physical activity since my last days of hockey at a charity ice hockey game at Van Andel arena over 2 years ago, and I wanted to get back in shape. Also, my work was paying, so I figured why not? There is one catch with the company paying for the race, there was no backing out. If the employee recanted, woke up from the delusion of wanting to be a runner, or decided the 5K Kool-Aid wasn’t really THAT good, the individual would have to pay the company back for withdrawing from the race. I know, I know. You were under the impression that I was writing about overcoming writer’s block. I am getting there. Consider, what’s at stake if I withdraw. If I don’t do it, I have to pay back the $30 – $40 in registration fees I don’t want to pay. That’s a motivator. If I run the race with my coworkers and do awfully, that’s a motivator too (I know I shouldn’t care what other people think, but you take showers when you go to work, don’t you? Now back off!). Because I want to do well and have a tendency to be competitive, I am training to run it well as all of the times are posted for the wide world to see. So, there are a lot of motivators for me. Now, on to the writing part. You are struggling. Life is a static buzz right? Dragging yourself to the keyboard carries so much weight you’d rather just sit on the couch. I know for me it was that way not too long ago and I had to challenge myself. That was the only way out for me. Now, there are many reasons why you might be stuck and I bet they have nothing to do with the story. It could be a plot thing, but if that is the case, read a couple of books in your genre. If that doesn’t help, talk with a few writing friends about your struggles and in time, you’ll be fine. It could be a life event. A death of a friend or family member, trouble at work, being fired from work, depression, an accident, or many life situations that cannot be changed or muscled through. These are terrible and inconvenient life happenings that suffocate anyone let alone someone trying to be creative in their free time. To these two things I offer two responses. Being Stuck in Your Story – When you are mired in a convoluted plot point and not wanting to face it, just race ahead to a part you want to write. It’s true that the main idea to keep in mind when you are writing your novel is your audience, but writing something you are passionate about is important too. Also, will you have an audience if you don’t have a novel? To this I say, get a little tenacity. Buck up mate! When Life Events Derail – There is probably nothing that can be done to alleviate the uncontrolled stress or unfortunate circumstance in your life. There is no mucking through depression or a death of someone you care deeply about. There is nothing that can be talked through, though it might help a little. If this is your case I have one suggestion. Be consistent. Set a time to sit down wherever you usually do to write your novels, short stories, sonnets, or blogs and go there at a set time each day or whatever time schedule might allow. If you don’t have time, elbow something out. You may find the rhythm of just being in the place you write helpful. If you cannot write anything you may find keeping a journal helpful. Plus as writers tend to share what they write, you might find someone in a similar circumstance that would find your thoughts helpful. I hope you do not find these responses insincere or comical. I hope you are encouraged and clear some time to write today. Where Do Ideas For Novels Come From? Ideas from novels can arrive from anywhere. They can come from reading, lectures, true life experiences, or anywhere. I’d like to share the two sparks that started my novel below. If I’m honest, my first novel began a long time before I had a desire to write. The first moment of inspiration came when I was throwing a softball around in preparation for a softball game at my parent’s church. It was a magnificent day like most Michigan summer days. A slight breeze was in the air. It was not too hot or too cold, just perfect. No one mentioned the weather. I had no clue that it might change and I get the feeling none of my team members who tossed the ball around with me had an inclination of what was to come. In what seemed like less than an instant the sky was dark, then from beyond the horizon of tall maple trees came a deafening roar. 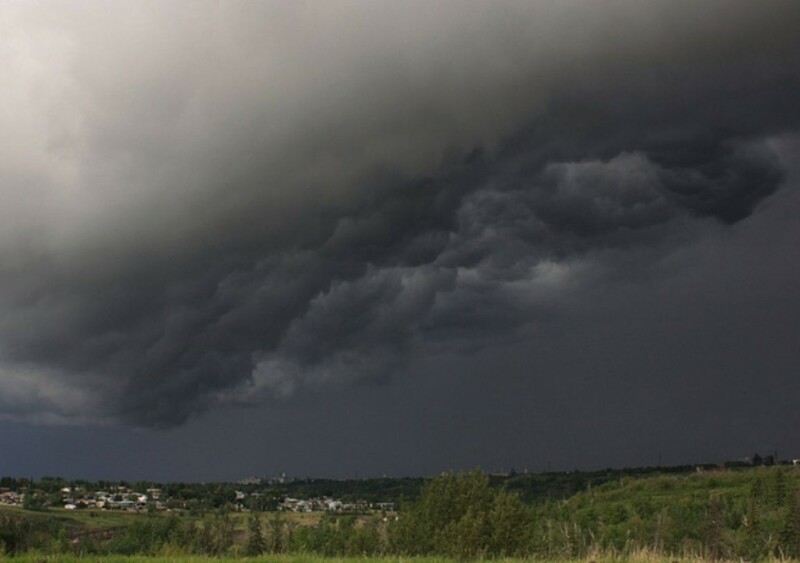 It was the sound of gallons of rain drops falling from the blackened clouds above. Lightning forked across the sky and I ran and dove into my car just as the immense rain drops clattered on pavement and pummeled my car with such force I thought it was hail. I imagined what it would have been like were there no cover at all and how the cold heavy drops would have felt had they pummeled me instead of my trusty Chevy Cavalier. This sudden unannounced storm would be the first ingredient that would ignite my novel. The second happened a few years later. My friend Matt suggested that I read a book he had just finished. It was a book of popularized history call How the Irish Saved Civilization by Thomas Cahill. I picked it up and immediately I was hooked. As I read, I came to a part where Mr. Cahill talked about the viking raids on monasteries in Ireland and the surrounding countries. It sounded terrible. I imagined the monks in the sack cloth robes gardening in the beautiful summer morning. Then just as the change of the weather I experienced a few years before, the countryside would be filled with enemies that rushed forward from the undergrowth and cut down everyone in the monastery. When thinking back on my first novel, The Tale of Calelleth, I realize that there are many things that formulated the novel in my mind. These are the first two experiences that I can remember that cemented the idea of an enemy showing up unannounced. It has since changed from a faceless pure evil to something more complicated, but the storm and Mr. Cahill’s book forever impressed upon my mind the idea of this horror that some in the tangled history of the planet had to live through. They had no refuge as I did in my Chevy Cavalier. So how about you, reader? Are there any particular experiences or things that you have read that were the seeds to a novel you are now working on? This weekend my wife allowed me to have “Bob Time,” which usually means I go somewhere and write. I normally meet with my friend Josh and sometimes Andy once a week, but sometimes you cannot fit all of the writing you have inside you in that short amount of time. I went to my favorite place Schuler Books and Music on Alpine Ave and got a cup of coffee, an almond bar, a table and chair then delved into my writing world. Before long I had written out the scene I had in my mind then started wandering about the bookstore. As I wandered, I was overwhelmed at the amount of books and was soon thinking to myself, why on earth am I writing at all. Hasn’t everything that should and could be said already been said? Why am I adding to the countless other books that lay on these shelves or in the dollar bin? Sorry for starting out so philosophical on a Monday morning, but I’ve had this on my mind for quite some time and this is something I wrestle with. There are times when I am writing my story that I begin to feel like I am being unreal or fake, times when I feel purposeless in my writing. I just wonder sometimes, why do I, and we, tell stories? 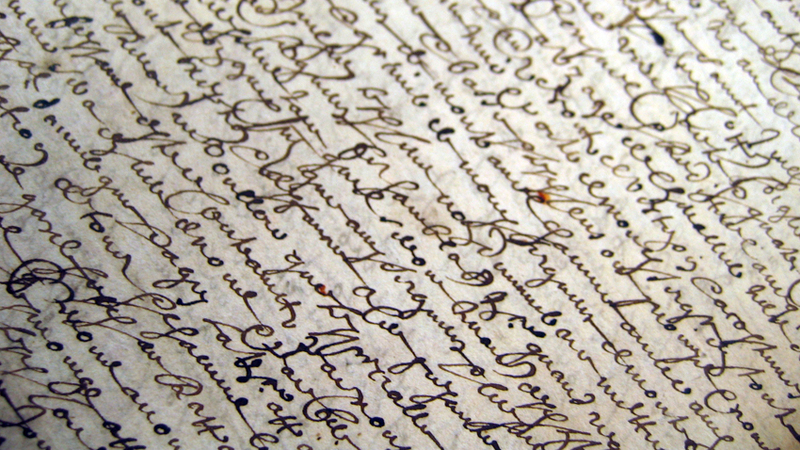 Why are they continually written? If you have time today, I would like you to answer the question: Why do you write? And to the non writing reader: Why do you read and share stories? There are many things that can influence a writer. Some inspiration comes from people and some from the world of media. I would like to use this blog to make a list of things that I have found helpful in my writing life. I hope you fund these as beneficial as I have. 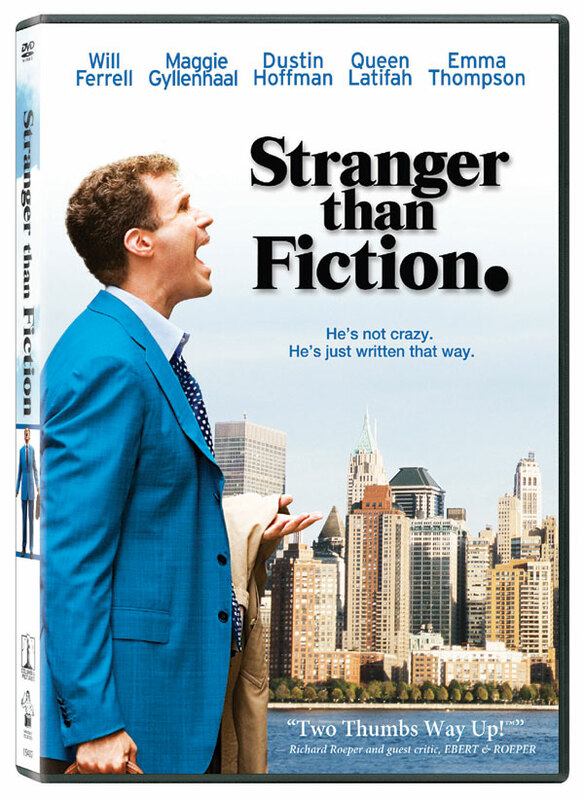 Stranger than Fiction – Starring Will Ferrell. Watch this moving if you have not, and you are a writer. Midnight in Paris – See my blog about it HERE for more info as why I would recommend it. On Writing – by Stephen King. The first book I read on writing. I don’t actually like his writing style, but this book was been very influential to my writing. The Art of Fiction – by John Gardner. I write about its influence HERE. My favorite book on writing with great writing exercises. Beginning Writer’s Answer Book – edited by Jane Friedman. If you have any question about writing, publishing a book, getting an agent, when to submit your story, you MUST have this book! Bird by Bird – by Annie Lamott. Writing a book can seem overwhelming. Just read the back of this book at your local bookstore and you will get it. You take it one step at a time. Josh Mosey – There is nothing better than plugging your friends and getting involved in the writing community. RobertLeeBrewer – He is currently doing a blog on “building your platform”. There is just too much to write about this blog, just go see it! Word Play – Very nice blog with piles of resources for writers. Works and Days – If you are a poet this is my friend Matt’s blog. He is published in so many places I can’t keep track anymore. If you have found other movies, books, or blogs for writers I would encourage you to share them in the comments section below. Thank you for reading this week. Enjoy your weekend. Free Laughs, Free Insight, and Free Books? There are many ways that you can improve or be encouraged as a writer. These are things you can do by yourself, but they are better when incorporated into a group who all have the same goal. This is the function of a writers group. A friend I meet with every week has started a blog. I wanted to take this post to introduce it to my readers. His name is Josh Mosey and I would like to encourage you to read his blog – here. Why? Glad you asked. 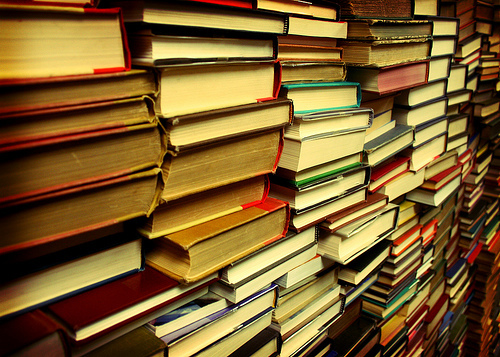 If you like to read, follow Josh – he is giving away free books on certain blog posts. If you like to laugh, he’s funny – humor is included in all blog posts. If you want insight about writing or the world of books, follow his blog – he posted about a free class at the University of Michigan this morning. If you are interested in fantasy or any form of science fiction, I would highly recommend you to check it out. Good morning. Yesterday was the last session of 500 words a day for a week (of the official challenge not of me trying to write!) I was not sure what to expect when I began a week ago. I had no stomach for my story and I wasn’t sure it was something I wanted to do at all. I felt that my appetite for writing was gone. I am pleased to say that I don’t only have a great start but as I stated before, I look forward to the next opportunity to write. Below I wanted to post what I was able to accomplish this last week and also mention that if I continued on this path that I would be able to complete the first draft of this novel in little more than 5 months.This may not seem like a fast pace, but my last novel took me about 6 years. If I continue this for 4 and a half months, I would finish in about 5 months. If I increased this to 1000 words a day it would be 2.5 months. Imagine that, finishing a novel in 2.5 months! I would like to say thank you to my readers for following this challenge. It was a tremendous encouragement. I went out to write with my friends Josh and Andy last night and was able to finish the five hundred words with ease. It is true that writing only gets better with more writing, sort of like forcing yourself to eat something until you like it. I did it with coffee and tea, now the staple drinks of my diet. When I was young I played a lot of sports. My parents bought many gloves and shoes, cleats and hockey sticks, and many many more clothes and equipment. They usually purchased some of the more expensive equipment when they could afford it. Yes, I dress like a grandpa when I want to get into the writing mood. Now a lot of parents out there might say that this is a waste, for kids tend to grow rather quickly, but they were not concerned with that. My father always told me that you play as good as your equipment. In other words, if you have some of the best soccer boots in the game, you are no longer self conscious about how you look as most young teenagers would be. You believed the commercials and articles and pictures about them, so you could run fast and longer and harder than anyone else. I think this applies in many walks of life. We dress for many occasions. We dress for business or a wedding. We dress for college or a hockey game with the intent of looking like someone who belongs. There are times when I am not in the mood to write or don’t have the energy to do so, but need to get something done. This is when I default to my slippers and tea or coffee. The best way for me to get into the writing mood are those two things. Then I feel ready, prepared, and confident. Do you have any routines you do before writing?